In times when people are slowly starting to migrate from bigger 10-inch tablets to the more convenient 7-inch ones, Panasonic has decided to go the other way. And perhaps a bit too far, if I might add. 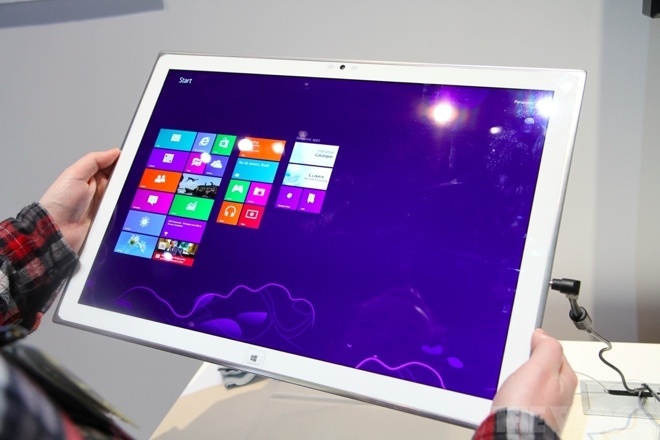 What you see above is Panasonic’s latest ‘tablet’, a 20-inch monstrosity that has a mind-boggling 4K resolution display. And on the inside it’s running on the full Windows 8 operating system. The device is aimed at photographers, designers, architects and such. It remains to be see when it would be launched, what it would be priced at and who would want to lug around something so big with just two hours of battery life. You can watch a hands-on video of the device here.